Price listed is for three acrylic beads. 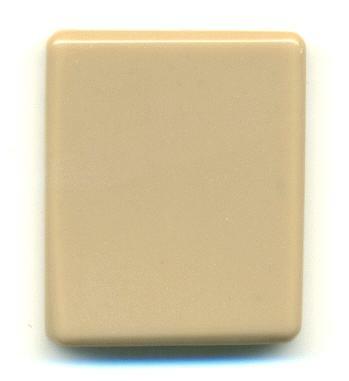 These are rectangular acrylic light brown beads that measure approximately 34/28mm. They are approximately 5mm thick, and have three holes running through the length of the bead. Holes measure approximately .5mm. These are sand in color. Click here to see some examples of jewelry design using these beads!